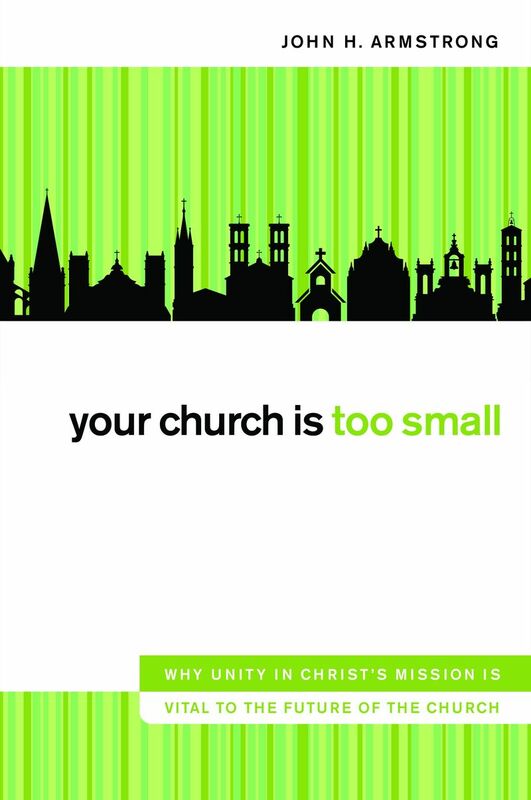 I’ve been browsing the Deep Creek Anglican Church Blog‘s chapter-by-chapter review of John H. Armstrong’s new book, Your Church Is Too Small: Why Unity in Christ’s Mission Is Vital to the Future of the Church. I was unfamiliar with John’s [no relation, as far as I know!] ministry until now. But having skimmed the review at the above blog, I think I find in him a kindred spirit. Sectarianism based on epistemological modernism is indeed a scourge of the church today. A balanced, critical ecumenism rooted in a heightened appreciation for tradition is indeed a much-needed balm. What I see here makes me want to know more about Armstrong’s ministry. To access the review, click here. Currently there is a brief piece about the late Donald Bloesch on the top of the linked page. However, if you scroll down to the bottom of the page and work your way up, you’ll be reading each brief chapter review in the order in which they were posted. Unique to American Christians? I don’t think so. Our author expresses concern (alarm?) at Christians building their lives and faith on various passages of Scripture understood through private experience. His argument is that Christ’s mission is best served by the one church of Jesus Christ ministering out of its spiritual unity in Christ and being rooted in core orthodoxy. —Scripture is the supreme witness to the living Christ, illuminating the minds of God’s people in every culture and context. We need to listen to the witness of the whole church through Scripture. —Contrary to the last few hundred years, the church in history has not been made up of unrelated and independent entities. Our author expresses the view that we are now witnessing the Holy Spirit bringing unity amongst our diversity – a new expression shaped by mission and ecumenism. —Despite obvious flaws, there is no need to be pessimistic about the church. Why? It belongs to Christ! And we see congregations flourishing where the kingdom of God breaks out. —Jesus’ prayer of John 17:20-24 is being answered in previously unheard-of-ways. We are witnessing Catholics and Protestants learning to interact with one another in gracious ways. We are beginning to experience the reality of Eph 4:4-6. This entry was posted in Medieval Wisdom for Modern Protestants, Patron Saints for Postmoderns, Resources for Radical Living and tagged ecumenism, evangelicalism, John H. Armstrong, sectarianism, Tradition. Bookmark the permalink. I am pleased you found my book Chris. I have read your work and love it. I am a Chris Armstrong fan, even though we are not related, so far as we know. If we went back to England/Scotland far enough we just might shake the same family tree however. I would love to get to know you better and hope our paths might cross sometime soon.